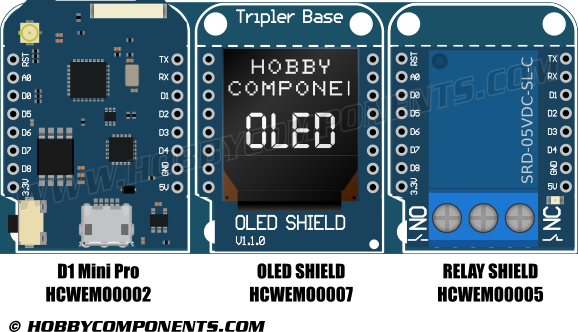 The Wemos triple base (HCWEMO0016) is designed to allow a Wemos shield to be connected to a Wemos D1 board without having to use the normal stacking method. This is useful when you have multiple shields that are not suited for stacking together such as an OLED shields with sensor/relays shields, or where a lower profile is preferred. Supplied with the shield is a set of six 8 pin female headers.